This immaculately maintained, maintenance free home located in the Belleisle neighborhood of Country Club East with stunning preserve views and an ultimate outdoor area is one to see. From first glance, one will easily notice the details that separate this home from the rest including extensive crown moldings, porcelain tile and impact windows throughout. The open kitchen features light cabinets, granite countertops and stainless steel appliances. Two great guest suites with separate hall give the true privacy one is looking for in a getaway. Master suite will not disappoint with tranquil views of the back and a master bath with dual sink and large walk-in shower. Step outside the sliders to truly enjoy Florida living at its best. Nice size heated salt water pool with spa, outdoor kitchen, firepit, and a panoramic screen create an incredible area one will never want to leave. 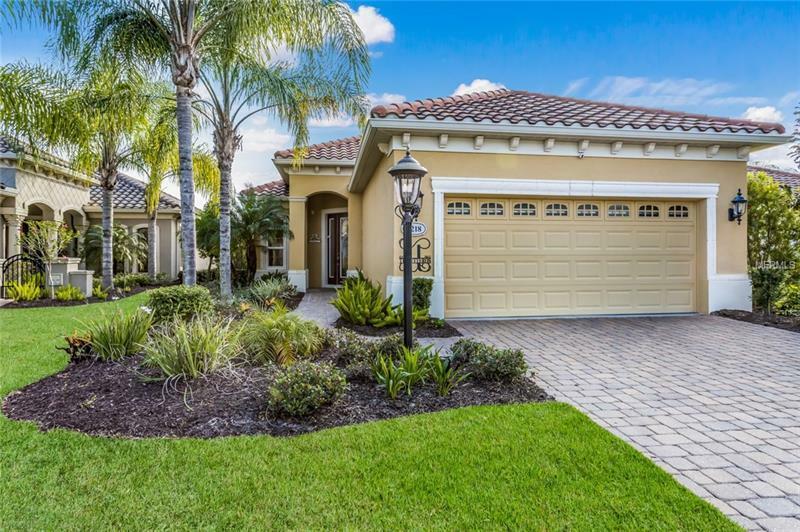 Having Lakewood Ranch as one of the top-ranked master-planned communities offering four golf courses, private country club, vibrant tennis community, athletic facility, parks, restaurants and so much more, this is paradise at its best.